Zalia is a company constituted as an instrument to carry out one of the great strategic projects of the Asturias of the future: to position el Principado as the fundamental axis of the Atlantic Arc, promoting logistic activity as a key factor of competitiveness. 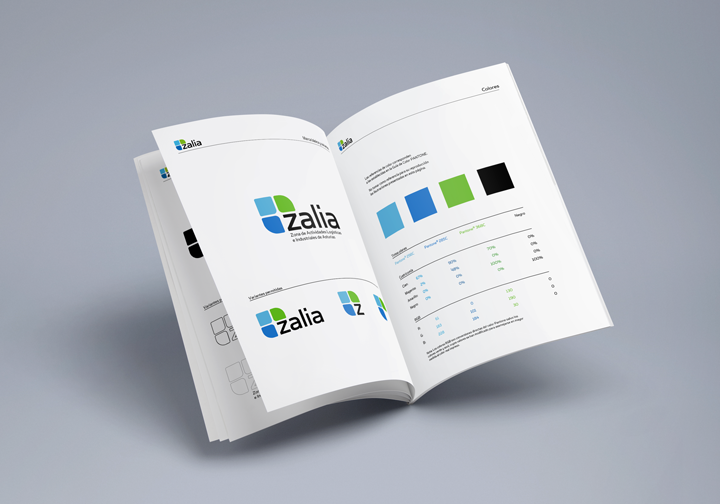 As part of the creation of Zalia the project managers contacted me for the development of what would be the corporate identity of society. As part of the initial development of the project we created the brand and a manual of application of to different supports.